Context: Dysfunctional teams. The organisation spends a large amount of energy trying to identify the causes and origins of the problems. Needs: Individual perceptions need to be properly understood to be able to get an understanding of what – and where – is going wrong. Activity: Collect and analyse individuals’ perception regarding the organisation and comparing the individual perceptions to let problems to emerge and become visible. One of the most challenging situation in an organisation is when there are clear symptoms that things are going wrong, and an overall sense of uncertainty and tensions is evident, yet there is no clue about where such symptoms originate. In tough times, the situation can be easily misinterpreted and attributed exclusively to external factors that can not be directly controlled by the organisation. The truth is, that in tough times individuals tend to react very differently. Tensions can arise from such an inconsistent scenario where people disagree on strategies and the key values, as their perception is changed, leading to more tensions. The focus, in such cases, should be on the individual, letting their individual perception to emerge to better understand how they perceive their organisation. After single views have been collected and merged, they can be analysed and compared to let the causes to emerge and problems can be identified and solved. This path is divided in two parts: first, through the LEGO® SERIOUS PLAY™ based interviews, individual perceptions about the current scenario and organisational settings are collected. Then, after the individual perception have been analysed, if needed, a workshop is designed to face the problems that emerged through the diagnostic interview-based phase. 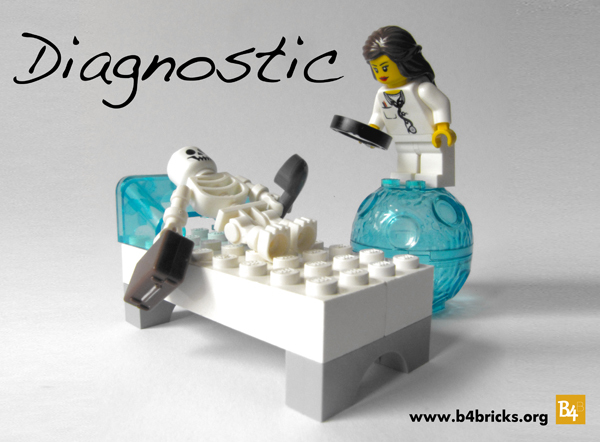 The DIAGNOSTIC path is suitable for all level of the organisation. Each case should be evaluated. This entry was posted on May 4, 2013, 3:18 pm and is filed under Uncategorized. You can follow any responses to this entry through RSS 2.0. Responses are currently closed, but you can trackback from your own site.